New Zealand is a beautiful country and to take in these mesmerising sights, one needs to explore the island of New Zealand in a slow pace. So, without any further ado I opted for a New Zealand self-drive tour package. The self-drive option not only gave me ‘my time’ in New Zealand but also acted like a cost-saving option. I arrived at Auckland Airport and the excitement of the trip just started to build up. New Zealand is safe and tourist friendly towards female solo travellers. So, it became my obvious choice for my first solo sojourn. I picked up my rental car from the airport and geared up for the unknown adventure ahead. I got maps and a guide-book that highlighted the must-see places in New Zealand. To give you a fair idea of my self-drive, I will quickly run you through my itinerary. My tour began from the northern tip of New Zealand in Auckland and Rotorua. During my stay in Rotorua, I visited the active geothermal reserves in Rotorua city. Legend has it that this place was the site of Māori fortress and people used the springs for heating and cooking. I was really amazed at seeing the active springs. Here’s a photo of what I saw. Going forward, I took a flight to Queenstown; drove past Lake Tekapo and Lake Pukaki, where I camped overnight and reached Christchurch, the south-eastern side of New Zealand. 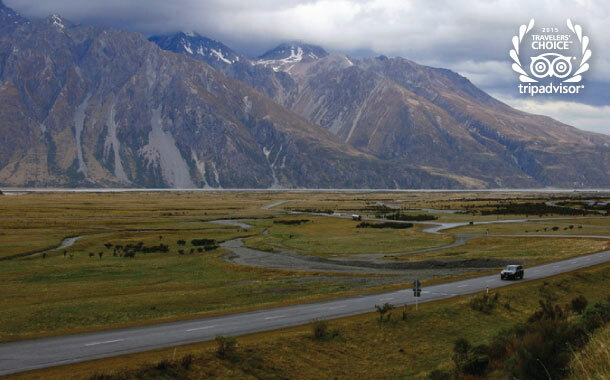 Wherever you go in New Zealand, you are bound to enjoy the roads. However, the most memorable part of my trip was the drive from Queenstown to Mount Cook. I checked-out from my hotel in Queenstown and got ready for my self-drive. The first thing that hits you is that there is no traffic on the road. The entire road is empty and you will see more sheep than men around. I experienced so much freedom while driving through the roads. I started my spin at Frankton and moved on straight ahead to State Highway SH 8. For about 292 kms, the road is straight. I took small pit-stops to take photographs. The landscapes were just breathtaking. For someone who has been driven in India for over a decade, New Zealand roads were just thrilling to drive - open roads with crystal blue lakes running parallel, spectacular landscapes and herds of sheep far away. I stopped at Twizel for lunch. Twizel is a small village town that was developed for labourers working for a hydroelectricity power station nearby. I ushered inside a café that my guide from Musafir.com India suggested. Surrounded by alpines, Shawty’s Café is perfect for lunch after a long drive. I ordered for a Mexican Fiesta pizza and flat bread with feta, pesto and caramelised onions. My day was made when I had an Apple and Rhubarb Crumble which was utterly divine. I drove straight to Lake Tekapo and halted there for taking photos. The landscapes are so surreal that I was taken away in just a moment. I saw some groups kayaking and after a quick inquiry, I boarded a kayak and started rowing the cold blue waters of the lake. Surrounded by alpines with Mount Cook dominating the backdrop, the kayaking experience in the lake was heaven-like. No wonder the popular Hollywood movie - ‘Lord of the Rings’ was shot here! 64 kms away is Lake Pukaki, my next halt at another wonderland. I set a camp there and spent my night under the starlit sky. I learnt one thing that night - Camp while you can, count stars, light a bonfire, cook your own food and wake up to the call of birds. Such experiences indeed complete one’s life! After getting fresh, I ate breakfast at a nearby café and left for Christchurch. I drove straight for 290 kms and after about 3 and a half hours, I reached my hotel in Christchurch. All I can say is that, my road trip from Queenstown to Christchurch was one of the most memorable journeys. My New Zealand self-drive package really worked wonders for me! 1. Make sure that you have GPS in your car or on your phone as there are very less people on the roads. Asking for directions could be a trouble otherwise. 2. You would require either an international driving permit or a current driver licence issued in a country other than New Zealand to drive in New Zealand. 3. Stay left, when driving in New Zealand. 4. Wearing seat belts is compulsory. 5. The maximum speed limit on open roads is 100km/hr. 6. Sleep well and drive with a fresh mind. 7. Most importantly, enjoy the roads, take enough breaks and take your time to enjoy grand vistas around you. After all, self-drive is all about fun, photos and fulfillment!